Think your business is the best? Add the button above to your website, email blasts, social networking profiles, blogs and wherever else you can think of! Make sure to link to this page and let your fans know which categories you're nominated in! Right-click on the image and save to get started. The first round of voting for Best of Houston® 2019 is over, and it's time to make your picks among the finalists for the best places to eat, shop, drink and work out in Houston. Voting has been extended to December 20, so log in and get clicking. Don't worry if you change your mind before then or want to check out some of the nominees before casting your ballot. Your votes will be saved but won't be final until the end. 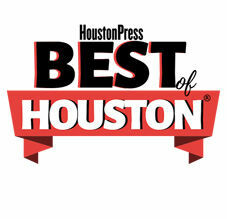 Best of Houston® winners will be announced starting January 2 through January 31.